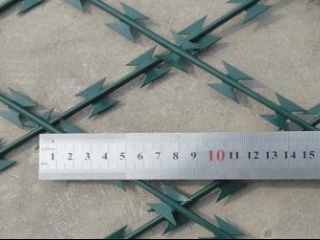 ZongShen Hardware Wire Mesh Co., Ltd.
Razor Wire-Hot Dipped Galvanized Razor Wire. Material: hot dipped galvanized steel pipes. Color: Black, White,Blue, Green, etc. You can choose color according to your preferences. High protection, it is almost impossible to climb. Extremely simple to install, needs three to four to install molding.